Follow the money. Technology spending continues to be dominated by ongoing services, more so than by devices. How some market segments spend their tech dollars reveals much more than their household socioeconomics might suggest. Spending on Internet services rivals that spent on services such as cable TV. This chapter includes relevant answers selected from the many questions in the comprehensive TUP survey. The market is split out by tech spending by devices as well as tech services, separating the big spenders from those less so. The data-rich deliverable is designed for quick recognition of important findings, including statistical testing and indexes comparing values to their national averages. 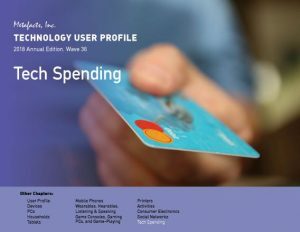 This report results cover many key topics: user and household demographics, technology adoption (early adopters to laggards), Social Networks actively used, Devices, Consumer Electronics, Activities (Major, Social Networking, Shopping, Communication, Graphics/Image, Entertainment, Cloud Storage/Sharing, Personal/Productivity), Tech Purchase Outlets, Technology Spending, and Purchase Plans. 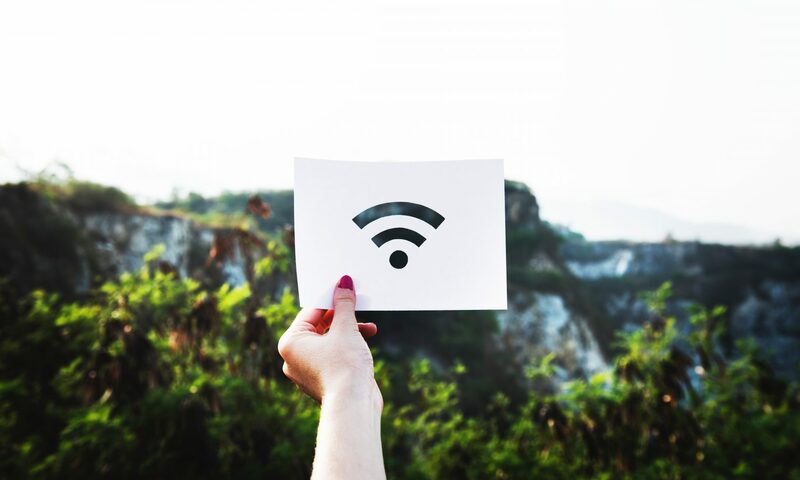 The MetaFacts TUP syndicated survey, conducted continuously since 1983, is based on the full range of technology users – those who connect to the Internet through PCs, Mobile Phones, Tablets, or Game Consoles. It spans consumers, employees, the self-employed, students, and even users of public/shared devices. This document includes over 500 pages in PDF and Excel, featuring cross-tabulations which may be used for market sizing, user profiling, benchmarking, and to support many decisions. Please also refer to the many other chapters and sections of TUP. Tech spending is further split along major categories: Smartphones/Basic cell phones, PC Hardware & Software, Peripherals, Printers, Cameras, Consumer Electronics, Handhelds and Media, and Internet Devices and Services. What do big spenders do differently from low spenders? Which type of Tech services dominate tech spending? Where do Tech Dollars Go? What are the big spenders planning to buy next? Which tech products do big spenders use? Is more tech spending on CAPEX or OPEX? Which type of Tech devices dominate tech spending? What do Home PC households with children spend their tech dollars on? Who are the big spenders? How much more do Home PC households with children spend on tech than average? How do recent Home PC buyers spend their tech dollars differently than average adults? Are Tech wearers bigger or lower tech spenders? Are aspiring tech wearers big tech spenders? Which social networks have the biggest tech spenders? Which mobile phone carrier has the biggest tech spenders? Do Tablet PCs users spend more of all their tech products and services than non-users? Which OS family of Tablet PCs has attracted the biggest tech spenders? Which Life Stage segment spends the most on tech devices and services? Who are bigger tech spenders – younger or older employeds? Who are bigger tech spenders – younger or older adults? How do younger adults spend their tech dollars different than older ones? How do younger employeds spend their tech dollars different than older ones? Who are the biggest spenders – Windows-Only, Apple-Only, or some other segment? Whose Home Printer customers are the biggest overall tech spenders? Do the most-active Basic cell phone users spend more or less than average adults? Which Basic cell phone carriers have the highest and lowers tech spenders? Who spends more on all their tech devices – long-time or first-time PC users? Who are the biggest spenders – Apple’s, Dell’s, HP’s, or Google’s best customers? How much does the average home printer users\ spend on printers and ink/toner? Whose Home Printer customers spend the most for ink, toner, or paper? For more information about TUP, please contact MetaFacts.